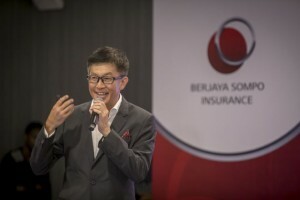 General insurance provider Berjaya Sompo today laid out its plans towards becoming one of the top five general insurance providers in Malaysia, having identified key focus areas towards developing a detailed growth agenda. 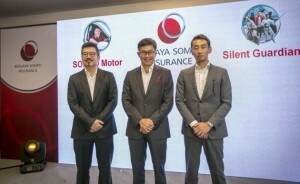 To that end, Berjaya Sompo is taking a more customer-centric approach to its growth in the country, and has applied some updates to its motor insurance product, Sompo Motor. “Customer feedback is key to product innovation and this allows us to incorporate solutions into products that customers value and want,” said Berjaya Sompo CEO Tan Sek Kee. “We execute this by listening to customers and gathering data trends through consumer surveys and market research,” he explained. Sompo Motor now includes special perils coverage for acts of nature where the claim amount does not exceed RM10,000 or 20% of the sum insured, whichever is lower. Another item is coverage for all drivers, where the insured party is no longer required to provide the names of authorised drivers (and who are no longer subject to compulsory excess unless the driver is a holder of an L license, P license or is below 21 years of age). The new basic benefits also include a 12-month warranty for insurance-covered repairs, as well as a RM300 provision for towing and labour costs incurred for roadside repairs. The cost of parts, toll charges and any customs levy fees for cross-border towing are excluded. More optional benefits are available at added cost, including the waiver of betterment costs, unlimited towing costs coverage and full special perils coverage. Further benefits are also available, including but not limited to, private hire car coverage (for vehicles used in an e-hailing capacity), legal liability to passengers (mandatory for driving in Singapore), separate cover for accessories installed on the insured vehicle, current year no-claims discount relief, compensation for assessed repair time (CART) for loss of use whilst in repair, and more. In light of fears where vehicles written off due to the severity of damage sustained in accidents have been found to be repaired for continued use on public roads, Berjaya Sompo will take custody of the said vehicle’s registration card if it has been found to sustain damages costing over 65% of its insured value, Tan said. Customers may also opt for voluntary excess of policy, ranging from 0% to 3% of the sum insured, which gives customers the option to pay out of their own funds for each claim up to 3% of the claim amount, in exchange for a lower premium each month. Berjaya Sompo is also collaborating with Honda, Mazda and Nissan in Malaysia for bundled insurance packages tailored to the needs of car owners, the company said.